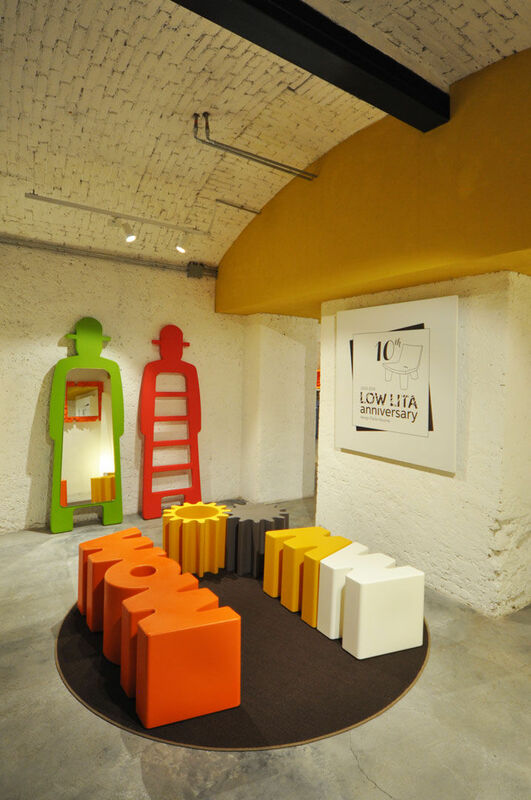 "A real modern sculpture, the WOW bench is perfect for creating an arty atmosphere: it will add a daring and unusual touch to your interior. 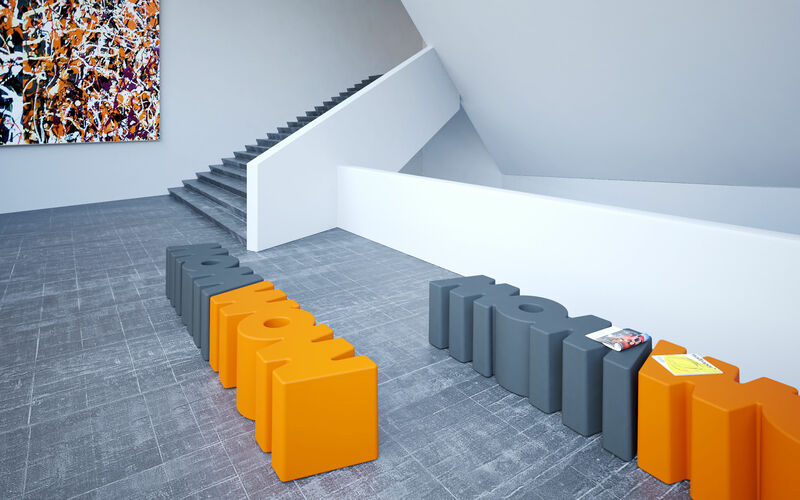 This pop-style bench features a calligraphic design. 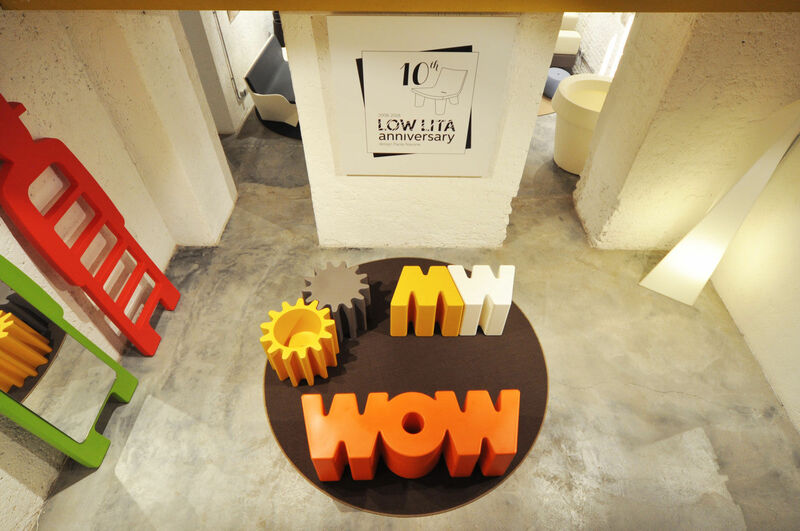 The letters reproduce the word WOW. 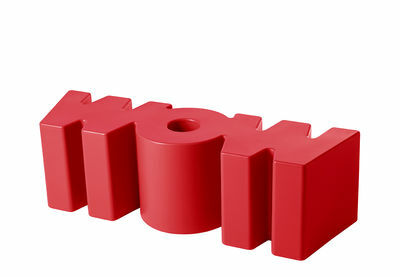 The calligraphic design of WOW is a "palindrome": by turning the bench over, WOW creates the word MOM. You can set up this bench both ways: horizontally or vertically. 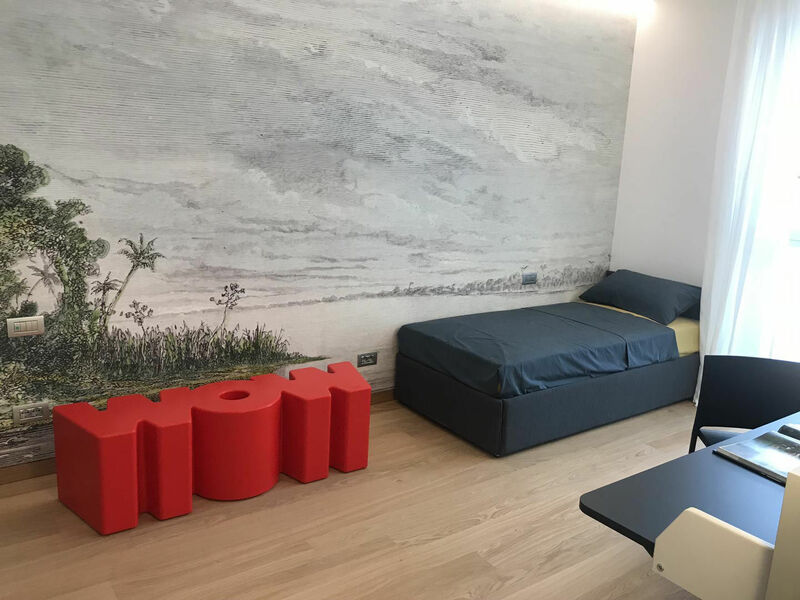 Made of polyethylene, this rugged bench can be used both inside and out: in a living room, entrance, children's room, terrace or garden. 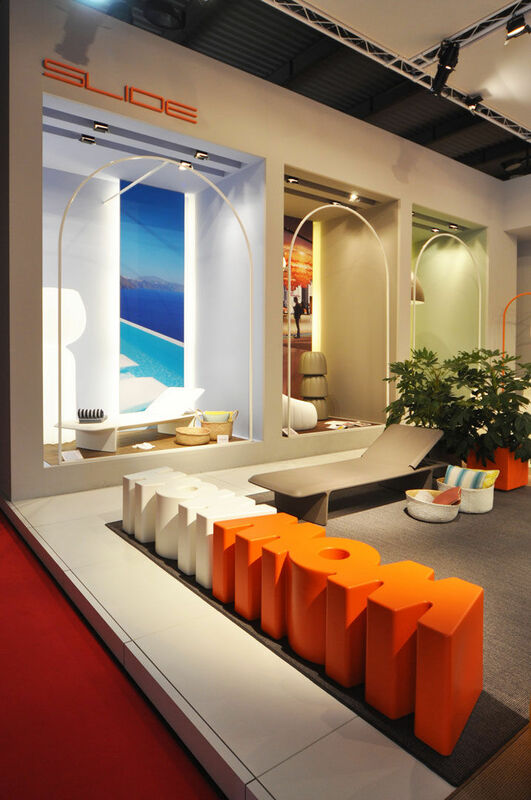 WOW will cause a sensation in both private and public locations (hotels, restaurants, shops, etc)."